Packed with sub-smashing basses and extreme low-enders, jackin' drum loops, filtered and funky music loops, no-kick tops and driving percussion, pitched and processed 12" ghetto vocals, effects and much more. 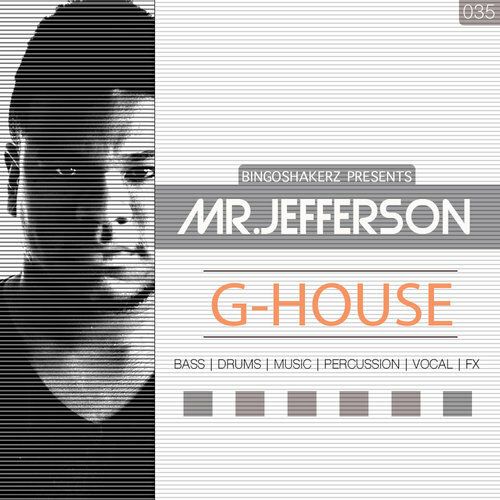 Totalling 350MB of superior 'Gangsta House' sounds this collection has been expertly produced by Mr. Jefferson. His productions has been released on the following record labels like Guesthouse, Cr2, InStereo, Nervous and charted by the likes of Format:B, Green Velvet, Richie Hawtin, Umek, Stefano Noferini, Cristian Varela, Sam Paganini, Kerri Chandler, Chus + Ceballos, Roger Sanchez, Max Chapman and many others. Get instant inspiration with this pure tech-twisted G-House collection. 36 x Stripped Drum Loops.